I’m needing some pain management options and a plan of action to slow progression or turn this around. Our regular vet (traditional) and our vet for rehab therapy (holistic approach) are thinking bad arthritis or bone cancer in the back left hip based on her X-ray today. See attached X-ray. 11 yo spayed yellow lab named Joon. Decreased activity since January - she has kept to her bed mostly - she will walk bedroom to living room a few times a day, goes out to potty, sunbathe, gets up and to the kitchen to eat/snack 3x/day. We have 3 other dogs so she likes to go outside & walk around with them, sometimes wants to play ball with her lab sister but it’s not often. January 23rd we started rehab for what we thought was a cruciate tear in her back left knee/leg. We did not do xrays prior, assumed it was her knee - she was limping, assessed manually and determined cruciate issue. Rehab/PT 2x a week since then. Chiropractic, acupuncture, laser, water treadmill, PEMF loop, balance exercises. After the first month of PT we changed from acupuncture to laser as our PT vet didn’t think she was progressing steadily - it was more up and down, some better days but not steady improvement. Joon is normally sore/worn out after therapy and favors her leg that day, most of the time better by the next day. Second month we discussed possible meniscus tear as but wanted to see how she did w laser rather than acupuncture. Recently she was fitted for a hero brace but we’ve only used it about a week. We are now at 11 weeks of rehab and last night Joon did not want to walk at all. I thought she would be better by this morning. She was not, so I called to cancel her PT. Our PT vet had us come in and sent us to our regular vet for xrays (thinking we could see knee alignment for possible meniscus tear) but also wanted hips to be xrayed. Vet said he could not rule out bone cancer and wanted to X-ray again in 2-4 weeks to see if there were any changes. Neither vet liked the look of the hip in the xray. Appetite is great. She has had about three episodes where she wet the bed... early morning accident before she went outside. I though this was due to the herbs she was taking for her knee. Her energy, mood seems to be good/happy except for today and she’s generally tired after her rehab sessions but really excited to go for a ride in the car to rehab & excited at rehab. Lots of energy. The last month several warts have gotten bigger or new ones popped up. A stye in the lower eyelid too that is growing - not sure what to do with that. She has also had hair loss over the last few months. I thought this was from the herbs maybe detoxing her? The hair loss is on her back from her last rib to her tail. Skin is pink sometimes and she’s got dark scabs that flake off. Vet gave me antibiotic for that. See pics. I’ve been giving her Arnica, turmeric supp by Infinite, Boswellia by Standard Process for pain control but not consistantly - more as needed on PT days. She has not moved since we got back from the vet at 4pm. I tried to help her up to go outside b/c she is really struggling to get up but she grumbled and yelled in pain. What can I do for pain? I think her cat was a little surprised about the X-ray and we both didn’t mention pain control. So my husband will stop by there in the morning to discuss but if possible I’d like to control pain w homeopathy or other - I just don’t know what else we can use. We did do blood work. Attached. Elevated MCH, MCHC and a little elevated WBC. Wow, thanks for the detailed post, but I'm so sorry to hear about Joon. In the short run for pain management often repeat (in water after succussing) high potency Arnica or any potency of Bryonia work very well. It sounds like you've got her on a great regimen of diet and supplements. You might also want to consider a ketogenic diet for her and hyperbaric treatments if they are available to you. At KetoPet, our mission is to help dogs everywhere live longer, happier lives by teaching pet parents how to feed a raw ketogenic diet. Exactly how are you dosing the Arnica? The higher the potency the better! 10M is perfect if it is available to you. Arnica is Safer and Often More Effective Than Rimadyl - Holistic Actions! Give your injured dog or cat frequent sips of Arnica from a water bottle right after any injury. It can help by the time you get to the veterinarian. How did she do overnight, and is she better today? Has she received any vaccinations in the past 6 months? Is she drinking more or less? You might also want to ask your vet to send bloodwork out to a reference lab like Antech or Idexx since it would be great to see the other CBC parameters that in house analyzers often don't measure too accurately (or at all). You should also try warm compressing her hip to see if that relieves some of the discomfort. This can also give us great info about an important modality. Modalities are very important for choosing homeopathic medicines as they are awe-some clues to individuality. By now however I suspect your vet gave you some carprofen, gabapentin, Tramadol, etc. so please let us know more when you have a chance. I am feeling much more confidant in pain management as we ended up with a really good day yesterday (Friday), a good night Saturday and so far doing well this morning. We did decide to make an appt Tuesday to sedate and get better x-rays. This is a long run down of what we tried Friday. 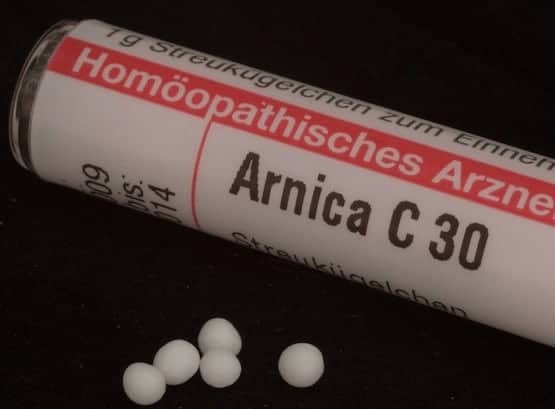 We do Arnica 200ck and Byronia 30c (in water after succussing) alternating every 3 or so hours.... or 2 doses of each throughout the day. I've studied a classical homeopathy (mostly use this on the pets) and then learning practical homeopathy with Joette Calabrese and although her info is geared toward people there is a human Banerji protocol I am trying for Osteosarcoma using Symphytum Officinalis 200c alternating w Calcarea Phosphorica 3x (dont have these on hand yet) alternating one dose every 3 hours. I've read up on the keto diet - I understand the concept behind this and it gives me something to think about but I do worry that we would do away with health promoting foods. I personally do not feel right with giving so much fat - in my mind fats no matter what form - I'm not convinced a keto diet is great when she already eats so well...my experience when adding in more meat/fats to her diet - it seems to rev her body up - pink skin, the hair falling out, warts seem to grow more, etc. We just got off of three weeks of a more keto diet and the result was all these things popping up. I'm wanting to add in wheat grass juice and the barley grass juice - I can grow and juice. Any experience with these as far as healing for dogs? I know for humans there are many benefits for those with cancer. Thursday night we had given her 1/2 dose of Previcox 227mg but she vomited about 2am - I wasn't able to move her off of the bed and she did not want or try to get up. She seemed to be feeling out of it or weird to me. Anyhow - I cleaned the bed up and covered it with towels. I applied a warm red light (it is not red light cold laser - can't do that w bone cancer - correct?) it's called a REDjuvenator (Leanne Venier | Science of Light Therapy, Color Therapy & Flow State Expert ). Joon seems to like the warmth with REDjuvenator and the warm compresses. In the last 3 months she does not want to move when it's cold outside so I really have avoided ice packs. In the morning we did the REDjuvenator again with the dose of Arnica before we got up to go outside to potty. I had to get her harness on to help her up. She did not seem willing or able to get up on her own. I dosed Symphytum Officinalis 30c. She ate breakfast well - adding in the turmeric supp & Boswellia. I added in the Organic B12 liquid ( a blend of methylcobalamin & adenosylcobalamin) and then applied the Arnica creme to her hip topically. Later I dosed 15 drops of the Rx Vitamins HempRX, 2 hours or so after any homeopathy so I hope this EO doesnt interfere with the homeopathy working. I helped her up again with harness to go potty/drink water, etc and back to her bed. Another round of the REDjuvenator. Then lunch with 1mg of melatonin + Lipo C. Then back to bed. by 1pm Friday she got up by herself to go potty and since then she has been up and walking around again - doesnt put weight on the leg - limp with a soft touch to the floor as she walks. Friday night we opened a capsule of Gabapentin 300mg and sprinkled maybe 1/4 of the capsule powder on a bedtime snack. She did well through the night with that. No vaccinations in some years. Since 2016 at least. Her water intake seems normal - between the 4 dogs they dont seem to go through water very often, I set out a clean bowl of water daily unless we've been out running around on the farm they dont even concume a full bowl but there is a lot of water in their food mix. I make it pretty soupy. Thank you for the recommendation to send the bloodwork out. I've requested this before when she had the bladder stones and our vet accommodated the request. Our PT Holisitc Vet offers platelet Rich Plasma - I'll talk to her about this for Joon - does anyone have any experience with this and bone cancer? Thank you so much for setting this forum up!! You are doing some amazing research for different option for Joon. There is never one "right" approach. classical homeopathy, in my experience, can be the most deeply curative. As a member, you can go to www.homevet.com and book and appointment with Dr. Jeff. Consulting the VBS (Vitality and Balance System) that you learn here would show you that it might be a good idea to slow down the dosing before Joon runs out of "gas". By gas I mean Vitality and the cellular energy like ATP, made by mitochondria, which allows cellular and physiologic function and balance (homeostasis). Medications and supplements work physiologically, unlike homeopathic medicines which work energetically through Joon's Vitality. Multiple remedies, especially alternating or in combination, is incorrect homeopathy according to Hahnemann. Alternating remedies as you mention can be very effective. Hahnemann was even about to add a paragraph about alternating remedies into the Organon (the original guide to doing homeopathy correctly). Hahnemann, the founder of homeopathy, decided not to include the paragraphs to avoid promoting the practice of giving more than one remedy or change at a time. Alternating and combination remedies can use up Joon's store of Vitality and worsen his Balance. Instead, it's best to concentrate on building vitality with fresh and raw meats, organs, glands, veggies, fruits and even well-cooked grains if indicated (such as for dogs that cant otherwise gain weight. Fresh air, sunlight and exercise is almost as important. In addition, the rapid breathing promoted by his running around builds Vitality through Prana. The more he is willing (and able) to exercise the better. Swimming is fantastic for older dogs with arthritic joints! Are you near a lake or a pool that she could use? Less dosing, fresh varied foods, more exercise, fresh air and plenty of spring sun is often the best prescription! Yay!! Joon's gonna have the best Spring ever! Wanting to share my limited experience with the ketogenic diet with Reyah (history of, and current, mammary tumors with metastasis to lungs). I too was concerned about pulling away the really good variety of foods from her diet, but most of all her joy of eating. Eating and going for walks were her two greatest pleasures! I shopped for ingredients to give her as much variety as I could and kept her on the Option 1 diet from the KetoPet Sanctuary for the recommended two weeks. She appeared miserable to me although I could have projected that onto her. She missed her bones and the chewing of meat and the quantity of food I used to give her. I was ready to move on to the Option 2 diet which meant giving her less food when she began a downward spiral. I decided to stop the keto diet and return to what I was feeding her before, a variety of fresh, raw foods. I understand their concept too and have read Billinghurst's take on ketosis as well. I just couldn't do it. If she only has a short time to live, I want to her to be as happy as possible. She was anything but happy on the ketogenic diet. Thank you for sharing Kristen. Yes - I've given Keto a lot of thought - read up on it over the last 9 years. Keto just doesn't jive with my thinking in keeping the blood oxygenated. I know oxygen kills cancer, thin oxygenated blood is healing to the body and keto / fat promotes low oxygen levels in the blood. Keto might work for dogs that were on kibble and then switched to a fresh diet but I'm not convinced it is best for dogs that have been on a fresh balanced diet. Keto doesnt match up with what the hyperbaric oxygen therapy chamber does in promoting oxygenated blood. And keto doesn't match what I know about PEMF therapy. My parents have a BEMER mat, a PEMF mat that is said to promote micro circulation and blood flow in the smallest blood vessels, improving the performance of the body's cells so we will have Joon lay on that and look into the Assissi products to have at home until we can find hyperbaric therapy in the area. Thank you Dr. Jeff - yes I feel like I'm throwing the kitchen sink at her until we can get a for sure diagnosis (hopefully Tuesday) and a good regimen together. We will nourish and build vitality through her foods and we are sure to get sunlight and walk as much as possible. We have several ponds on the property although we've never had the dogs swim in them - we go to the lake nearby or to my parents with a pool. We will try that on some sunny days! Thank you! In addition to the Assisi Loop that you mentioned above, you might want to investigate the EarthPulse magnet which can be very effective for pups and people with arthritic symptoms. Today we had Joon sedated in order to get good xrays of her back left hip/leg. The xrays were sent to the radiologist and due to her lameness and progressive, fairly acute symptoms the radiologist has suggested the X-ray shows a bone tumor. Not the classic osteogenic sarcoma but it does look to be an aggressive lesion or second opinion osteomyelitis. My question is, is there any way to rebuild/repair the bone that is lost? Assuming we can stop the growth of the tumor / lesion. Sounds crazy to write out but I figured this forum could would know best if we have any other possibilities before we lay her to rest. She has lost so much muscle mass and even the bone as it gets closer toward the knee doesn’t look like the R leg. Thank you to everyone who has replied and offered support.